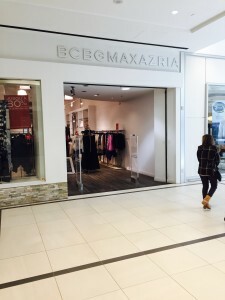 The BCBG Store is closing on April 24th and relocating to a new store in the mall. Today’s Flash Sale was take an additional 50% off everything! 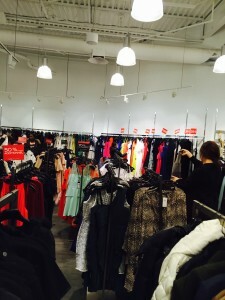 Included all garments, shoes, accessories and handbags. 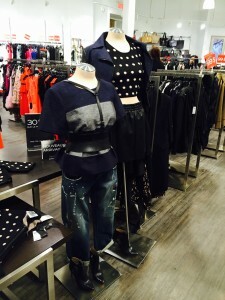 The store carries the BCBGeneration line in addition to BCBGMAXAZRIA. What you will find instore are gowns …perfectly priced for Proms, Galas and formals. 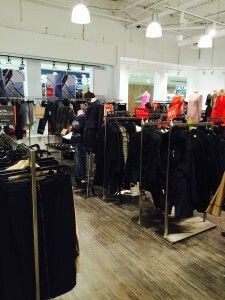 Merchandised in price points $39, $49, $59,$69, $99 etc today they were 50% of the last marked price. (I picked up a knit navy/tan striped high/low dress for $20.00) Leather and faux leather jackets in varying price points. I saw a gorgeous cream leather motto jacket with the discount it was under $200.00…..lots of on trend faux leather pants/leggings, skirts and a huge assortment of tops, blouses, blazers, sweaters, leggings in a variety of fabrics,styles & sizes. 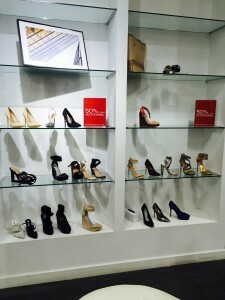 Depending on your size , variety of footwear, including some over the knee black leather boots! A newer garment collection consisted of sophisticated denim (totally appropriate for the office) including a great denim jacket with black leather sleeves. If you are in the vicinity definelty worth a visit. 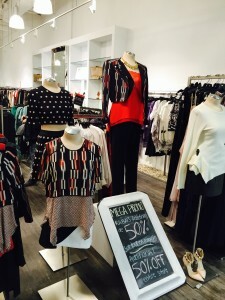 The staff were unable to share what the Monday promotion would be so if you want to ensure the trip is worthwhile call 819.243.5177 Happy Shopping!